Peoples Voice National Human Rights Commission equates humans with animals. / Rights / National Human Rights Commission equates humans with animals. National Human Rights Commission equates humans with animals. The ultimate goal is to prevent war and ensure peace lest the human race is wiped out from the face of the earth in a nuclear holocaust. 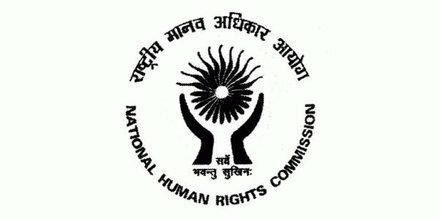 It is scandalous that in the wake of the killing of a seven year old child in Delhi, the NHRC has called for ‘a larger debate on human rights versus animal rights ‘. Private individuals have the liberty to equate humans with animals or even to place greater value on their pets than human beings ,but NHRC does not have that liberty even if its members personally hold such an opinion. The Commission has been formed under The Protection of Human Rights Act,1993 , which details its jurisdiction,function , powers and mode of functioning , which does not empower it to expand its jurisdiction to include non-human rights including animal rights. It does not have the power to dilute human rights in the light of the discussion it has suggested. It is bound to act within the framework of The Protection of Human Rights Act and not grayness its limits . It has also shown a poor understanding of the scope and goal of human rights. Human rights are not equal to the right to life only , but embraces all aspects of life which need to be taken care for creating a just and humane order in which a human being may develop all his potentialities and realise his aspirations. The ultimate goal is to prevent war and ensure peace lest the human race is wiped out from the face of the earth in a nuclear holocaust . The NHRC has done a great disservice to human rights by trivialising it by its casual approach to an issue of such great magnitude for the future of mankind.